I didn’t include a cable needle on the list of materials, but you will need one. This pattern uses double pointed needles and is knit in the round. 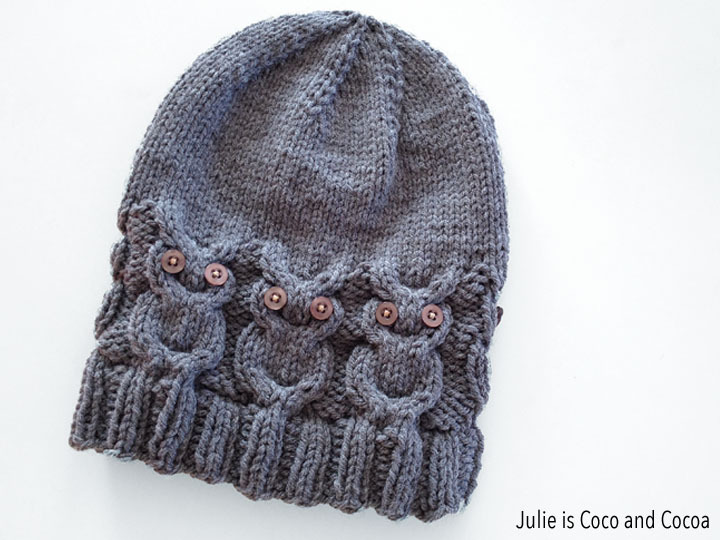 I find it easier to add the buttons for the owl eyes after row 30, rather than waiting until the hat is finished. This is an adult women’s size, but would also fit teenagers/older kids. 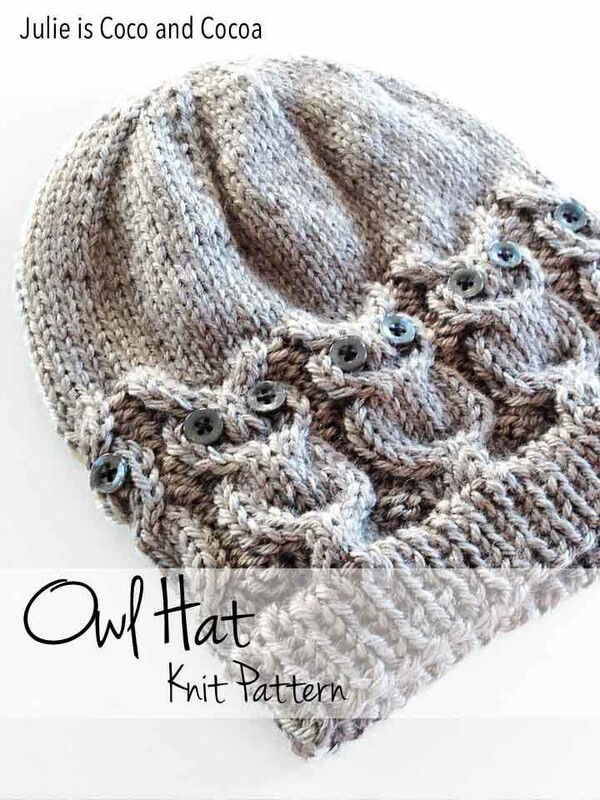 If you need to increase the size of the hat, the owl pattern is 11 stitches. To go up a size I would recommend casting on 90, work in ribbing for the first 8 rounds, and then increase to 99 stitches on round 9. 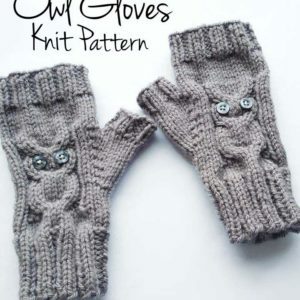 The pattern needs 16 buttons for the owls as written (it makes 8 owls). If you increase to 99 stitches you will need 18 buttons. C4B – means to move 2 stitches to the cable needle, hold the work in back, knit 2 stitches, then knit the 2 stitches on the cable needle. This is a cable worked over a total of 4 stitches. C4F – similar to C4B, but hold the cable need in front. In addition to double pointed needles I also have a pair of short (8 inch) circular needles that I use to make hats. Either would work to make this hat in the round as written. When I use the 8-inch circular needles, I do switch to the double pointed needles during the decreases.